(Oregon Coast) – Murder is fun this weekend in Newport. 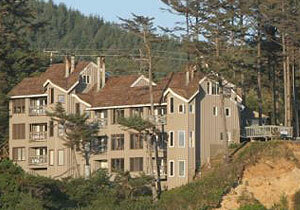 You can indeed find your thrill on the Oregon coast’s version of Strawberry Hill. 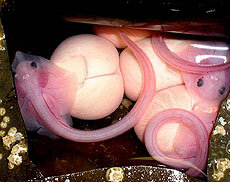 Check out the freaky babies to be born at one aquarium. Stay in an inn that’s literally its own garden. Or find the new, hidden trail that’s delighting tourists and locals alike. This is just some of the fun to be found this week on Oregon’s coastline – some of it events this weekend; some of it stuff you can find anytime. It's BeachConnection.net's weekly picks for March 7. Get thee to the coast – and enjoy. 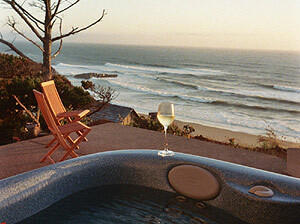 The Cannon Beach Chamber of Commerce presents the First Annual Culinary Escape, happening March 9 – 11. It’s about northwest wines, local beers and delicious food prepared by local chefs, as well as demonstrations, lectures and special food-oriented events at local galleries. The festival for foodies will include an Iron Chef Competition, culinary workshops, cookbook author signings and a myriad of fine dining choices. Local galleries will “paint” aprons, chef’s coats and hats that will be auctioned. Participating wineries include Archery Summit, Rex Hill, Willa Kenzie, Ayres Winery and Sokol Blosser (wineries subject to change). Representatives from these and other experts will give talks on wines and the wine industry. Take a trip around the world via the world of chocolates. See how to make the best martini, or learn about the finest free-trade coffees available. See demos on cleaning crab, working with knives, or take in a panel discussion on creating artisan cheeses by using and buying local ingredients. A health expert will even talk on recent research on the health benefits of drinking wine. Or stand in awe as two local chefs duke it out in an Iron Chef competition. 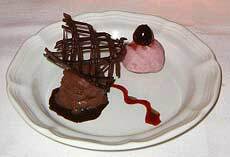 Highlights include an extravagant four-course dinner put together by the area’s finest chefs at the Cannon Beach Chamber Hall on Saturday night. 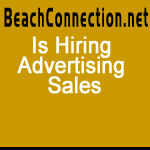 For more information, call the Cannon Beach Chamber of Commerce at (503) 436-2623. You can indeed find thrills here – of all kinds in the natural realm. This somewhat hidden beach access sits quietly between Yachats and Florence, in a pristine place that’s a kind of no-human zone much of the time, devoid of people an awful lot. 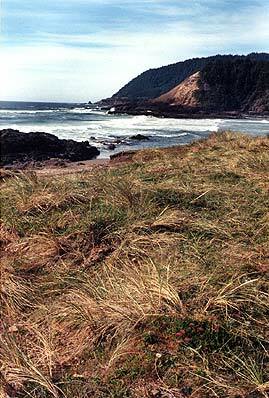 In fact, the tide pools often outnumber the visitors. First, you step out on a rather stately bluff with breathtaking views all around you. To the south, there’s a long stretch of cobblestone beach with towering cliffs directly behind you. West and north allows you access to a favorite spot of tide pool hunters, with large and small rocky blobs creating a labyrinth in the sand and providing plenty of places for starfish, mussels and other tide line dwellers to live. 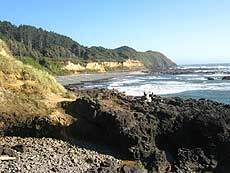 It’s as much fun for climbing and tide pool roaming as it is for a simple, hand-in-hand walk on the beach. 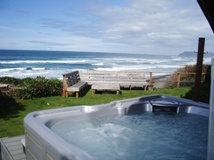 Weiss' Paradise Suites & Vacation Rentals is one unique luxury accommodations in Seaside. During the spring and summer, the building is literally a garden. It’s an award-winning setup, actually, and nothing short of wowing. There are one-bedroom suites, one and two bed duplex units and three-bedroom homes – all housing two to eight people. 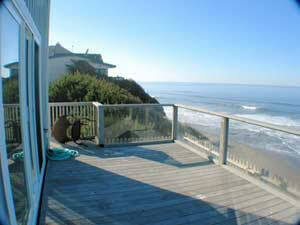 You can even rent the entire rental property for 20 - 26. All units are close to beach, river and Broadway St. It's at the north end of Lincoln City where the real surprises often lie. Road’s End Road will lead you to Road’s End State Park, and from there you can continue north through a neighborhood of cabins and expensive homes until you come to the last public beach access. This spot allows for perhaps two cars to park there and is approximately half a mile from the looming cliff. 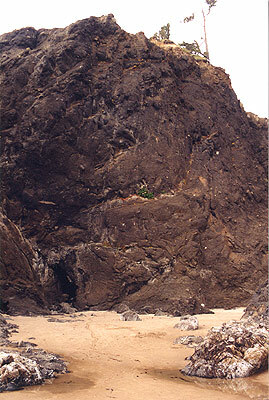 The cliff, across the Siletz River from Cascade Head, possesses the rock structure known as Wizard Rock. At anything but a high tide, this moody, slightly spooky, pointed rock can be seen. But at a low tide, you can go around Wizard Rock and find a rarely touched section of beach, filled with small caves, pristine, glistening sand and inviting, angular rock forms and haystacks to climb and carouse on. Like the hidden parts of Oceanside to the north, this beach provides quite a Gilligan's Island experience, and it's walked on far less by humans than that spot. Plus, there's something so idyllic and peaceful about this place you can easily convince yourself you're one of the first to ever have set foot. 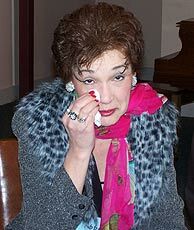 In the end, it was Abbie Kriar (played by Paulette Hansen) who killed Thomas Lycopene in last year's Murder Mystery. She blamed him for ruining her sister's life, when he interfered with her planned marriage. 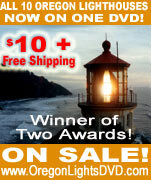 In the second weekend of March, someone in the coastal village of Nye Beach will be murdered. And locals will make a weekend out of it. It’s called the Nye Beach Murder Mystery Weekend, and it’s growing by leaps and bounds in this historic neighborhood of the Oregon coast resort town of Newport. It happens March 10 and 11, bringing a unique combination of time travel, prizes, role-playing and sleuthing to this seaside charmer. With the waves murmuring in the distance, a dozen or so murder suspects will be milling about these streets and shops as a few hundred members of the public try and discover who-done-it. This year’s Nye Beach Murder Mystery Weekend is set in the Nye Beach section of Newport in the post-war era of the late 1940’s. Suspects and actors will be dressed in period garb, and the public is also encouraged to do so. The entire neighborhood fills with would-be investigators, challenging the actor/role-players, who play their parts with imposing seriousness or hilarious high camp. Things kick off at 11 a.m. on Saturday, where participating sleuths pay $5 for their entry packet with mystery information, suspect information, clue locations and entry form. The opening activity is from 11 a.m. until Noon at the Performing Arts Center (777 SW Olive Street) at the corner of Coast Street and Olive Street in Nye Beach. First, there’s Les Shirley Park. 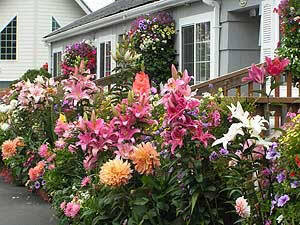 You’ll find this quaint park at the north of the bridge, next to Ecola Creek. Phones, restrooms and picnic tables are just some of the amenities here. But more importantly, it’s known as the southernmost place visited by Lewis & Clark back in 1806. There’s a plaque designating it as such. Also, you can access the beach and walk towards Chapman Pt. Sometimes, this area has a low enough tide to allow entrance to the secretive place known as Crescent Beach. Across the water there’s Whale Park. This one too neighbors Ecola Creek, but is on the other side, part of downtown. It’s mostly a grassy spot with benches, but there’s access to the beach here, with Haystack Rock a few minutes away. It’s also the locale where William Clark saw natives cutting up a whale for blubber. This long, thin town of sandy wonders boasts A1 Beach Rentals, where things are perfect for large family vacations all the way down to a getaway lodging for two. 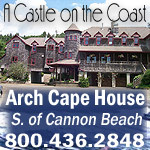 With over 25 vacation rental homes to choose from, A1 Beach Rentals literally has it all. They have a breathtaking collection of craftsman or traditional beachfront homes, or ocean view houses - from one to seven bedrooms. Many homes are in the quiet Road's End district of Lincoln City, but others you'll find in other sections of town, overlooking the beach, many with private beach access, some close to the casino, as well as one that has a view of the beach and of D Lake, while another is in Depoe Bay. Enjoy a world of luxury, relaxation and fun possibilities. Depending on your selection, you'll find homes with interesting and varied amenities like a rock fireplace, outdoor hot tub, a secret loft for kids, beamed ceilings, gazebo, ocean view decks, a detached cigar house, BBQ and game room, among many others. The Seaside Aquarium will again be proud parents – in about six months. A group of skate egg casings were found recently on a north Oregon coast beach, which aquarium staff has determined will probably “hatch” in about six months into little baby skates. Boothe said the Seaside Aquarium already has six juvenile skates that are about six months old. They were brought to the aquarium about a year ago and took six months to hatch as well. “The wind has been blowing out of the west this month,” Boothe said. “When the wind blows out of the west, it usually causes things to wash onto the beach. It is possible to find ‘burps,’ egg casings, and even glass floats.” Seaside Aquarium, on the Prom in Seaside. 503-738-6211. A new trail in the central Oregon coast resort town has started generating buzz among residents and regulars, as anticipation grows for its expansion into a much larger trail system. This quarter mile hidden path is part of what will be called the “Ocean to Bay Trail,” which eventually stretch from the northern beaches of Newport to Yaquina Bay. It begins, rather clandestinely, at the east end of the parking lot at Agate Beach State Park, and then meanders under thick rain forest foliage, with pristine, freshly laid gravel covering its length. Along the way, walkers encounter bridges over pretty little streams, more than a couple long wooden boardwalks that snake over chasms and other geographic features, and some untouched wetlands that will likely never, ever be developed. First, the explorer has to find the trail – and you may initially get fooled. The new trail actually begins when the paved entrance seems to disappear into a wall of ground, where you find yourself in a tunnel that goes underneath Highway 101. 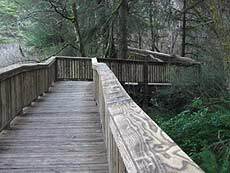 For three-quarters of a mile this freshly minted trail meanders, and you’ll soon run across one of several footbridges. There are three of these, about 40 feet long. Then the long boardwalks begin, each of these around 100 feet long.